U.S. big box retailer Best Buy on Wednesday announced the imminent closure of 250 satellite stores dedicated to mobile phone sales, pinning the nationwide shutdown on sluggish sales amidst increased competition from cellphone carriers, etailers and first-party shops like the Apple store. To date, 23andMe's Ancestry Composition report could trace your genetic roots back to 31 populations. That's decent, but not exactly the most accurate representation of your lineage. It could soon be more accurate, however. The company is updating its methods to trace ancestry back to 120 more populations, for a total of 151. If you have uncommon origins, you might have a better chance of discovering them. It manages the feat by checking for exact DNA matches between you and over 130,000 people with known ancestry in those 120 new regions. If you match at least five people from a region, that's deemed to be one of your recent ancestor locations.The company will also tell you the strength of a match based on the amount of DNA you share with people from a given area. This will help right away if you're taking the 23andMe test for the first time, although it'll roll out to existing customers over the "coming months." There are also some tweaks to accompany the more comprehensive data. The company has relabeled some regions for better accuracy ("Yakut" is now "Siberian," for instance), and has improved the map to help you zoom into a given region. You might not get any mind-blowing revelations about your genes -- this can only be so precise -- but it won't hurt to come back and see if there are any new insights. When Tesla unveiled its Semi electric truck, it made audacious claims about the big rig's value -- namely, that companies would recoup the cost of the vehicle in 2 years thanks to the savings on fuel. As it turns out, that might have been conservative. DHL exec Jim Monkmeyer told Reuters in an interview that he expects the shipping company to reach that point in a year and a half, saving tens of thousands of dollars per year. The absence of fuel is only part of the equation, he noted. As EV motors are much less complex than the big diesel engines that power conventional trucks, the Semi shouldn't need as much maintenance. Appropriately, Tesla's Elon Musk has hinted that the Semi's performance might see an upgrade. He's "feeling optimistic" that Tesla can outdo the specs from the November 2017 debut without hiking the price. We'd take that with a grain of salt when Musk's companies tend to set overly ambitious goals, but it's not an idle claim when the first deliveries are slated to start in 2019. DHL's hopes depend on the Semi living up to initial expectations, of course, and there's a lot that could go wrong. It's no mean feat to produce an EV that large with a range of 300 to 500 miles (the battery will be gigantic), and a lot of Tesla's math is predicated on the assumption that diesel prices remain the same. If there are unforeseen technical hurdles or diesel becomes cheap, the Semi's value may go down the tubes. However, it's not often that customers suggest a vehicle maker is underselling its product -- while caution is definitely warranted, this bodes well for the future of electric trucks. On top of its M50 mirrorless with 4K video, Canon also took the wraps of its latest DSLR, the Rebel T7. The successor to the two-year-old, 18-megapixel Rebel T6 now has a much bigger 24.1-megapixel sensor, making it more attractive next to excellent smartphone cameras on the iPhone X and Galaxy S8+, for instance. The Rebel T7 makes it fairly easy to take photos with "Scene Intelligent" and auto modes, then share them on social networks via WiFi and NFC. Other specs remain largely unchanged, including the 9-point phase-detection autofocus, 3fps burst shooting speed and 1,920 x 1,080, 30fps video. Clearly, this is a camera for beginners, albeit beginners that have developed high expectations because smartphone cameras are so good these days. The Rebel T7 also arrives in April of 2018, and will only be sold as a kit with the the EF-S 18-55 f/3.5-5.6 IS II lens for $550. For around the same price, however, you might be more tempted by Nikon's D3400, which has a similar sensor and offers slightly better performance. Canon has responded to criticism of the lack of 4K in all but it's high-end DSLRs by launching the EOS M50, its first mirrorless M-series camera with Ultra HD 4K video. Packing a new DIGIC 8 processor, the 24.1megapixel, APS-C model can shoot 3,840 x 2,160 video at 24 fps, or 1080p video at 60 fps. 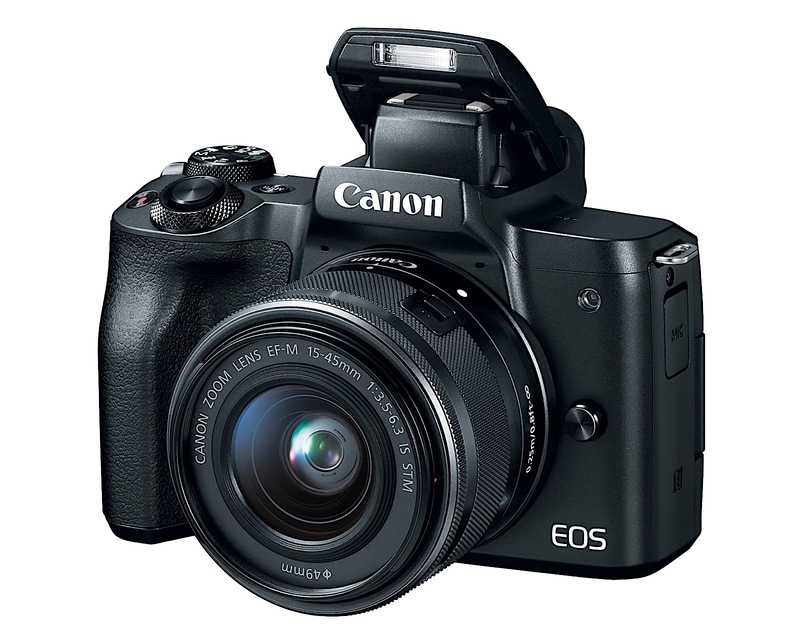 At $780 (body only) Canon says the M50 is now its "entry-level" M-series camera. Since it's the only one with 4K, that presents an awkward dilemma for potential buyers of the top-end EOS M5 and M6 models. If the M50 has become Canon's new entry-level mirrorless, then it's a good sign that Canon is getting set to revamp the rest of the lineup. It strongly resembles the high-end, DSLR-like M5, rather than the smaller M10 and M100 models. 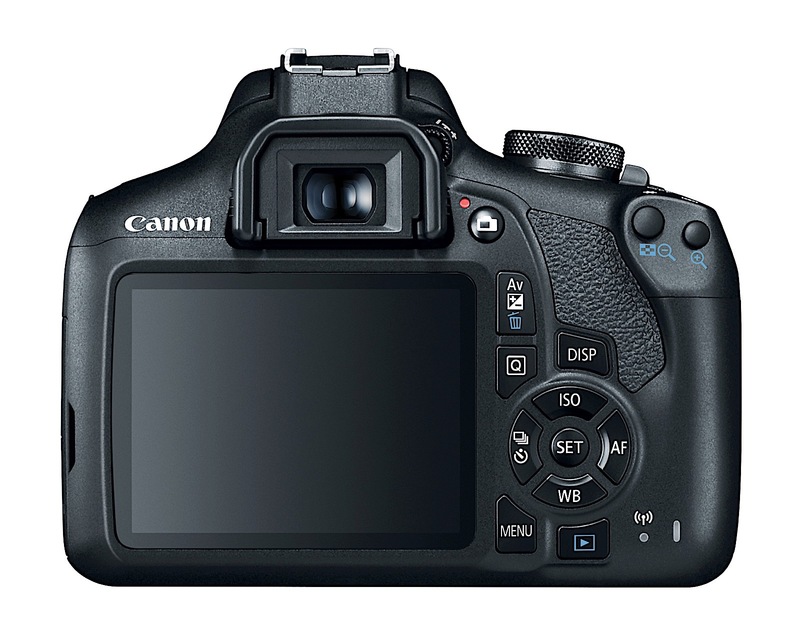 It has an OLED optical viewfinder with touch and drag autofocus, Canon's vaunted Dual-Pixel phase-detection AF, a vari-angle, flippable touchscreen ideal for vloggers, 120fps slow-motion video (at 720p), a new silent-shooting mode and WiFi, Bluetooth and NFC connectivity. The ISO range is 100-25,600, expandable to 51,200 max, depending on the mode. Burst shooting runs at 10fps, or 7.4fps with continuous autofocus, letting you capture a maximum of 47 images in the latter mode. Video shooters get an external 3.5mm microphone input and HDMI output while shooting, and there's also micro-USB port (but no high-speed USB Type C, unfortunately). The EOS M50 looks like a very solid entry-level mirrorless camera, but does beg that question as to why someone would now buy the more expensive M5 model. In response, Canon appears to have dropped the prices of all its mirrorless cameras, lowering the M5 from $980 to $930, and dropping the the M6 by $100 from $780 to $680. As mentioned, the M50 will cost $780 for the body only (in black of white) or $900 with the EF-M 15-45mm f/3.5-6.3 IS STM kit lens. 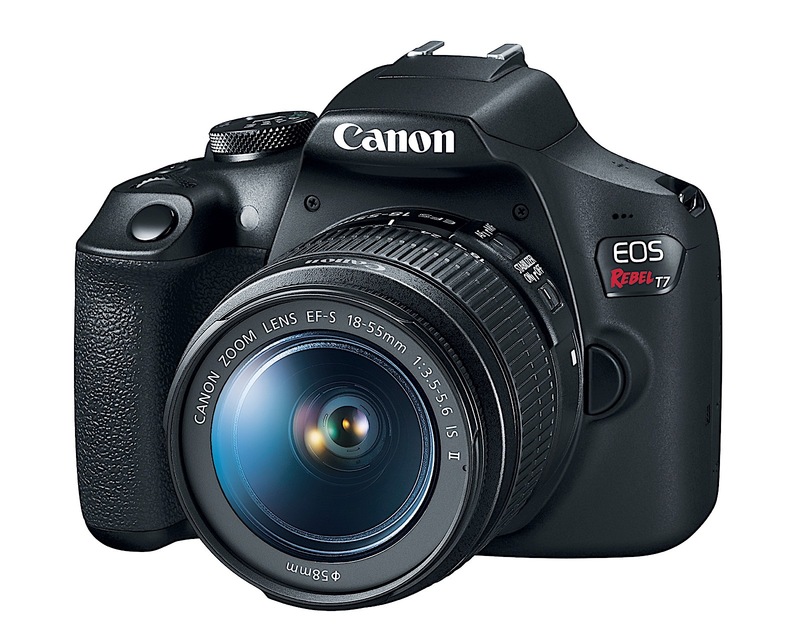 You can also grab it with both the EF-M 15-45mm f/3.5-6.3 IS STM and EF-M 55-200mm f/4.5-6.3 IS STM lenses for $1,250. It arrives in April of 2018.